IGMA were in need of an unloading system that could handle various dry bulk materials and thereby ordered two Siwertell ship unloaders. Both machines are still going strong after more than 30 years in operation. The machines are utilised for unloading grains and derivatives and each operates approximately 3,000 hours per year. Different types of dry bulk materials have been unloaded over the years, and grain breakage, which is a common challenge when handling grain, has never been an issue. 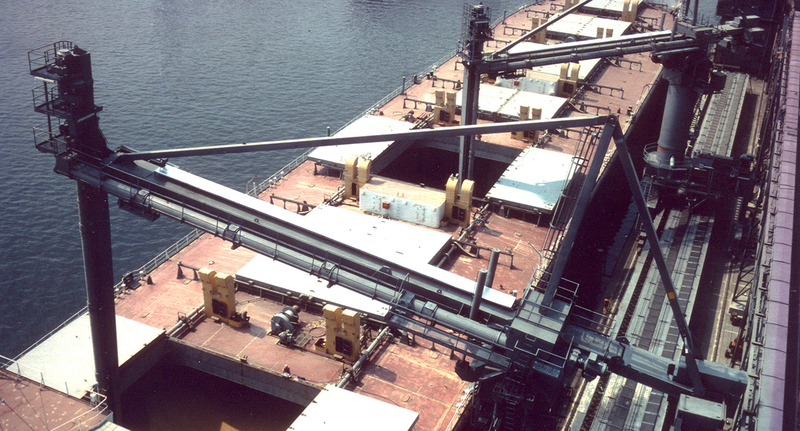 Siwertell ship unloaders are known for treating the sensitive grains gently and without grain breakage. Both of these unloaders are still in full operation, which clearly demonstrates the trust-worthy and long-lasting quality of Siwertell unloaders. IGMA has strictly followed our maintenance instructions since the first installation in 1977, and by doing so the systems’ vast potencials have been well-proven.